Plush. 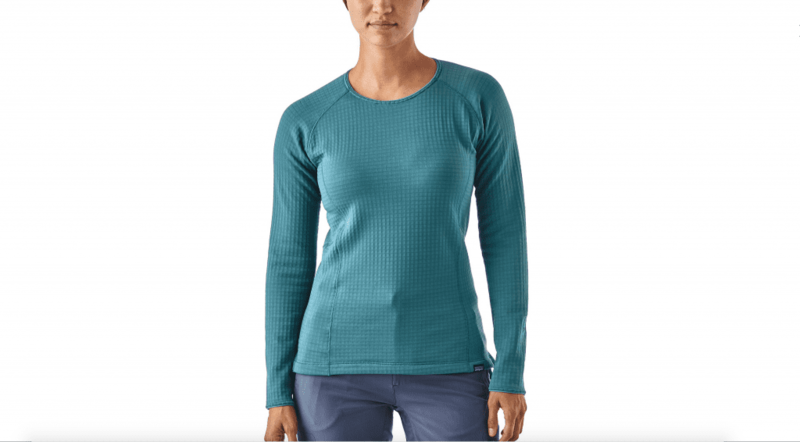 That’s about all I have to say about the new Patagonia Women’s R1 Fleece Long-Sleeved Crew. Actually, and “warm,” which is the first thing I thought upon unfolding it to see a quite thick brushed interior grid. I wore it to the climbing gym, where everyone else likes the cool temperature maintained by the place, and I was warm and that is great and doesn’t happen every day. New this spring, the piece has a slim, athletic fit, promoted by its shaped seams and making it nice and low-profile as a base layer, though to me it will be useful just worn on its own. The split sides and dropped back hem are made to stay put under a harness. I’ve had good luck in general with Patagonia products, and have been grateful forever for Jennifer Ridgeway’s foresight and insight decades ago in designing a catalogue that encouraged wear year upon year, and celebrated items still well in use though tattered and faded. 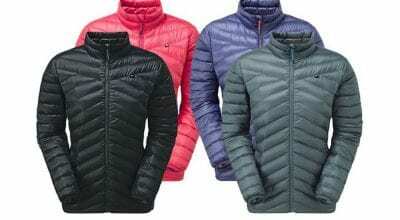 Patagonia stuff lasts a long time, and they, too, think it’s great if you keep wearing rather than replacing it. Item is breathable, stretchy, and non stinky. At $99, it’s spendy, but you can expect to use it a lot and for a long time.